Been a while since I had the time to blog..I have a whole bunch of thing sitting in the burner ready so stay tuned for a Blog marathon! 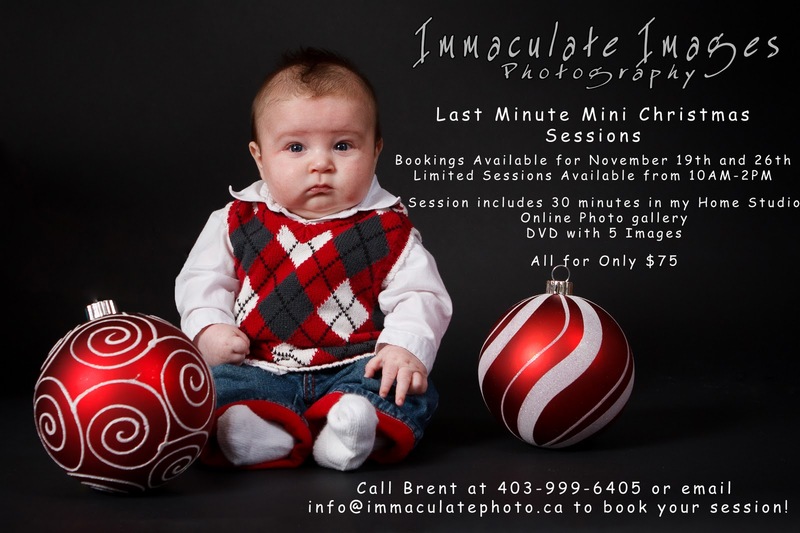 After so many people requested them again, CHRISTMAS MINI SESSIONS ARE BACK! And this year just in time! Bookings available for November 19th and 26th from 10AM - 2PM. Sessions include 30 minutes in my Home Studio, Online Gallery, and a DVD with 5 digital images.